Your new Acculok hot tub cover is protected by our industry leading 7 year warranty. Acculok offers 400% better vapor protection compared to traditional covers. 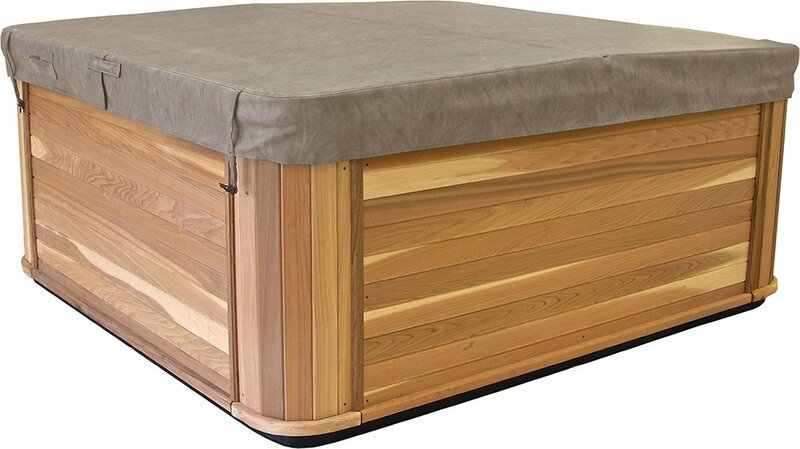 A full spectrum of brilliant hot tub and swim spa cover colors to match any setting. Acculok features an innovative design that traps heat for improved energy efficiency. 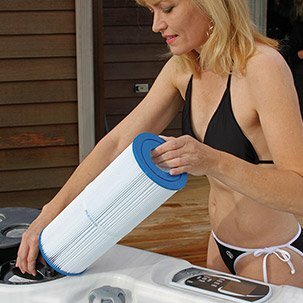 Offering the best hot tub cover lifters, chemicals, filters and cleaners on the market. Custom made swim spa covers as well as custom and other over-sized covers are available, please contact us to order. 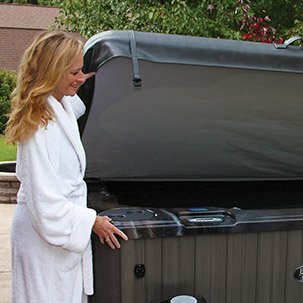 Over the past 30 years manufacturing hot tub spas, covers and accessories, we've seen more than our fair share of water-soaked hot tub covers that were nearly impossible to move. This was one of the foremost challenges that inspired the Acculok design. After years of testing, design and development, we're proud to offer a full line of high-quality custom lightweight hot tub and swim spa covers that outlast and outperform the competition. Choosing the right hot tub cover is a decision that will directly affect the performance, appearance and energy-efficiency of your spa. Acculok covers have been meticulously designed to eliminate some of the most common hot tub cover challenges. We offer them in a diverse array of sizes and shapes, as well as your choice of nearly a dozen colors to ensure a perfect match.